Late last year, consumers won a victory when regulators said that RadioShack would be honoring gift card redemptions almost two years after it declared bankruptcy in early 2015. The move was the result of 24 states and the District of Columbia working together to ensure that consumers were protected from the company’s closing. This was a big departure from the normal redemption process when a company goes out of business; usually, a consumer only has 30 days after a company declares bankruptcy to claim any unused balance on a gift card. However, regulators said that the size and longevity of RadioShack’s business warranted extra time for consumers to make claims. However, that time is now coming to a close. The claims process is set to close on Friday, December 2, so anyone who still has a gift card with an unused balance will need to act quickly to get their money’s worth. Fortunately, it seems that many consumers have taken the past year to clean out their junk drawers and find their old gift cards. 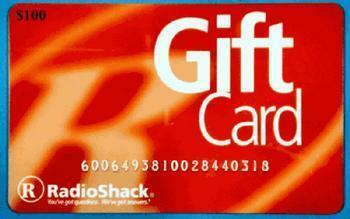 Consumerist reports that gift card redemptions for RadioShack have been fairly strong throughout the year, with a total of $131,491.39 in priority claims were filed and returned to consumers. For those of you who have yet to pull the trigger, you can visit the aptly named OldRadioShackGiftCards.com to obtain a claim form.